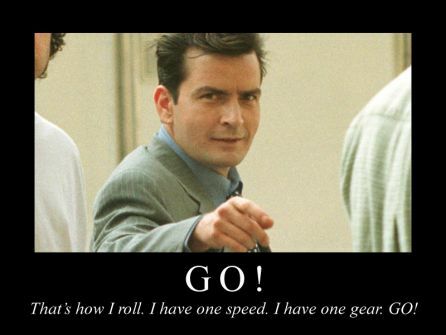 Charlie Sheen is all over the 'news' these days. Either he's crazy, he's still wacked out on drugs, or he's just looking for attention. If he's looking for attention, he's certainly gotten plenty of it. Whether it's the kind of attention he wants or not, that's another question. Only Charlie knows for sure. It kind of reminds me of the 'gapers block' you see on the highway when there's a big wreck, or even if someone just gets pulled over. We don't want to look, we just can't help ourselves. And if we'd honestly admit it, we're just glad it isn't us. Then again, this whole Charlie Sheen thing is kind of entertaining - in a weird, twisted kind of way. Here's a whole list of Charlie Sheen Sound Bites, so you can listen to his craziness over and over again - or, as it was suggested, "When someone walks by just click on the appropiate bite. Make sure the volume is up." There are some serious gems in here! It's hard not to look listen. Have You Seen These Rugs?